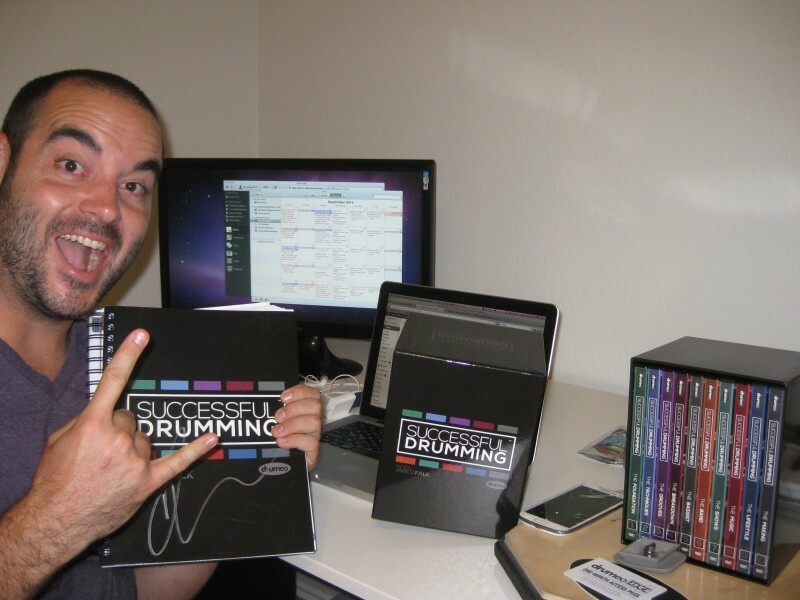 TIME SENSITIVE: I have secured a $100 discount from Jared for the first 10 people who order Successful Drumming. It is simple; just use the promo code “makedrums” at checkout to get $100 off! After 10 people have used it, the code will expire! Disclosure: Since I spent a LOT of time reviewing Successful Drumming, I would appreciate your support in buying lessons through a link on this page. You won’t pay a cent more, but I’ll receive a commission for my time writing this in-depth review, which helps fund this website (and my drum building obsession!). Thanks! —>Use any BLUE AFFILIATE LINK on this page! I know I’m a dork…and I’m just fine with that. 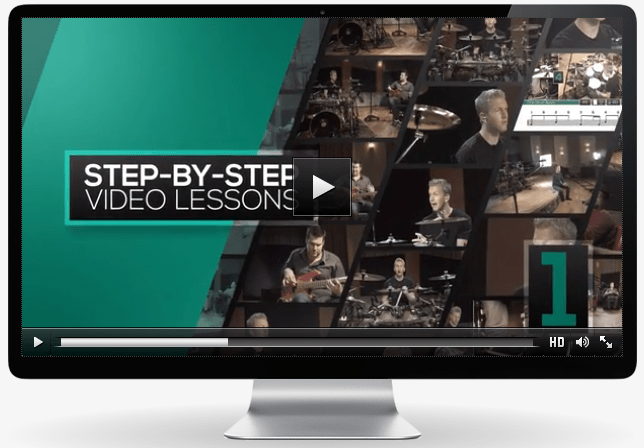 This DVD drum instruction package isn’t for someone who wants to learn about every style of drumming (although Jared shows you his most used beats from several different genres of music). To me this package is meant to set up every drummer who watches this for a very successful drumming career. This doesn’t mean your going to be the next great nashville session drummer, but it does mean that if you follow the tips and tricks that Jared is giving you, you will be called again and again when it comes to players needing a drummer. Your getting the call because you know the importance of locking in with a bass player, you know about how to write creatively with a band, YOU KNOW THE SUCCESSFUL BAND METHOD. – This is really good info from some professional musician veterans. REAL Life GIG Talk. Really good to hear. Not a drum lesson, but more of a musician career coaching session, which is in my opinion much more valuable than a drum lesson because this information is going to actually set you up for a better drumming career in the long term. Teachers: Jared Falk teaches throughout the entire course, but he also invites some of his professional musician buddies in for some round table forum style discussion on different topics that will blow your mind. Drumming tree is a very smart concept: When you learn the foundational stuff; basic beats, technique, kit setup, how to practice, playing musically, finger control, basic fills, basic theory, cross-sticking, moeller, dynamics, bass drum technique, rudiments, sheet music, posture…. then all of the other stuff falls into place with much less effort. – speed and control, linear drumming, jazz, polyrhythms, rock, prog rock, double bass. I’m glad to finally have a lesson package that features Jared. He lives and breathes drum lessons. Jared hits all of the basic stuff, but i loved the lesson on drum set posture. He gives clear instructions on how to use this lesson package: “Play these drum beats at 60 BPM and 100 BPM for 2 minutes straight before you move on to the next beats” and so on. I love that Jared always demonstrates the exercises slowly, to where you can really see whats going on, and then he shows it at the faster tempo so you can be inspired to practice to make it sound really good at the faster tempo. Rudiments – are the letters and words of the drumming alphabet. If your playing drums, your already playing rudiments so you might as well understand what you are playing. Jared doesn’t break down all 40 rudiments, just 5 that are most used in the drumming world. The easy Beat system is a cool concept. Build the Beat from the top down (hat, snare, kick) In practice this is a little more difficult to get all my limbs to do exactly what I have written down on paper. Drum Fill Builder – Both of these are great for composing drum set music. The Drumming Cheat Sheet is Jared’s charting method. I’m so glad he included this. This is hands down one of the most important lessons for drummers to learn if they ever want to get gigs where they have a learn lots of songs quickly. Again this is high level stuff that most drummers never have a chance to learn first hand. Drummers – the bass player is your best friend. Play with him. Great insight from pro music veterans! Everything from etiquette when working with a sound guy to talking about finances with your band! Oh how I wish I would have known some of this when I first started playing with a band. I like you views on drumming and am truly got impressed by your drumming knowledge. I want to add something here that for being a successful drummer, learner need to start from scratch and needs a lot of practice, skills and basic things about music theory. Do not get upset because it requires persistence and determination to arrive at the stars.